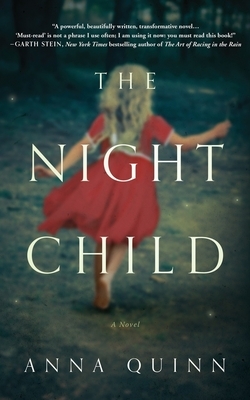 The Night Child (Hardcover) | Eagle Harbor Book Co.
Nora Brown teaches high school English and lives a quiet life in Seattle with her husband and six-year-old daughter. But one November day, moments after dismissing her class, a girl's face appears above the students' desks-a wild numinous face with startling blue eyes, a face floating on top of shapeless drapes of purples and blues where arms and legs should have been. Terror rushes through Nora's body-the kind of raw terror you feel when there's no way out, when every cell in your body, your entire body, is on fire-when you think you might die. Twenty-four hours later, while on Thanksgiving vacation, the face appears again. Shaken and unsteady, Nora meets with neurologists and eventually, a psychiatrist. As the story progresses, a terrible secret is discovered-a secret that pushes Nora toward an even deeper psychological breakdown.